Six grand kids, you know, all super stars. Retired from NASA contractors last year. Retired and loving it. Living in League City, Texas. Retired near the kids but bought a house in the woods in Arkansas to escape to, do some woodworking, kill some animals to eat, and make some moon shine, etc. Know what I mean, Vern? What's it all about, Alfie? Still crazy after all these years. Steven Hulka Hulka has a birthday today. 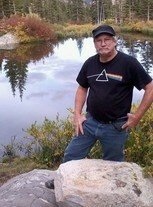 Steven Hulka Hulka updated his profile. View. Steven Hulka Hulka added a photo to his profile gallery. Steven Hulka Hulka changed his "Now" picture. Steven Hulka Hulka posted a message. New comment added. Not much talk anymore about “Harvey” but people are still trying their lives back to normal. Rockport is still wasted and the city and power company are totally clueless still and not really working effectively together. Incompetence. We’re going there on Saturday. Steven Hulka Hulka added a comment on Charles Par-Due's Video. New comment added. Steven Hulka Hulka posted a message. Anybody remember “Thee Image” on Collins Ave? I ended up with 3 posters advertising upcoming concerts there; Yardbirds, Greatful Dead, Frank Zappa, Lovin’ Spoonful. I found a band poster website that sells and auctions posters. One of mine sold last auction for $850. My 3 will go to auction Nov. 30. Just saying. Dig through your attics. Hey man. Heard you’ve been doing a lot of hunting in Arkansas Assault rifles and explosives do the trick. Get some! Not sure this site is used much anymore. Just want to say hi to you, Jim, and Mr. Bill. Steven Hulka Hulka has a birthday today. New comment added. Hey, man, how's it feel to be older than dirt? Heard you ran for office in Orlando and actually got yourself elected. Glad you have that kind of energy or maybe it's just a savage flashback. I started listening to 33 rpm platters lately using an old Technics turn table. Man I have a lot of records. Didn't know I've been missing all those authentic pops and scratches. With outdoor speakers I light up the neighborhood but neighbors don't mind (I think) but the triplets next door don't like it. Well, they sleep too much anyway. What a long strange trip it's been. Barb Powell lives in Colorado the lucky dog. Hey, Barb. Received a msg from this site which I'd actually forgotten. Thought I'd send you a hello after thinking about your Dad and you. Hope you and he are well. I retired last June and this is so fine. Darlene has some relatives still in Arkansas and we fell into a great deal on a small house in front of 1000's of acres of piney woods about 10 miles outside of Fordyce, birthplace of Paul "Bear" Bryant (Darlene's uncle). In Arkansas you you hunt whatever is in season. My place has an old 1800's barn on it like you see whilst driving around the south. Have you ever heard anything about Mary Griffith from our class (Honoria)? She was a dear friend. 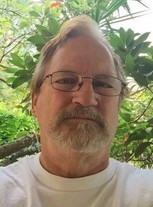 Steven Hulka Hulka added a comment on Jim Powell's Profile. Steven Hulka Hulka added a photo to his profile gallery. New comment added. Steven Hulka Hulka changed his profile picture. New comment added.